Our JapanBall Baseball Adventures give you the opportunity to see more than just baseball. Japan is a fascinating blend of 21st century modernity with traditions that date back centuries: pagodas glitter amidst a forest of glass towers, city life is muted by the tinkling of temple bells, and as a farmer hand-plants his rice crop, a bullet train flashes by. Hiroshima Peace Memorial Park is a memorial park in the center of Hiroshima, Japan. It is dedicated to the legacy of Hiroshima as the first city in the world to suffer a nuclear attack, and to the memories of the bomb's direct and indirect victims. Japan's high speed bullet trains, also known as Shinkansen trains, offer visitors an experience like no other with speeds reaching up to 320 km/hr! Many visitors tell us this alone is a reason to visit Japan. The Gion District, is at the heart of Kyoto, and is this city's most famous entertainment district and the center of its traditional arts. 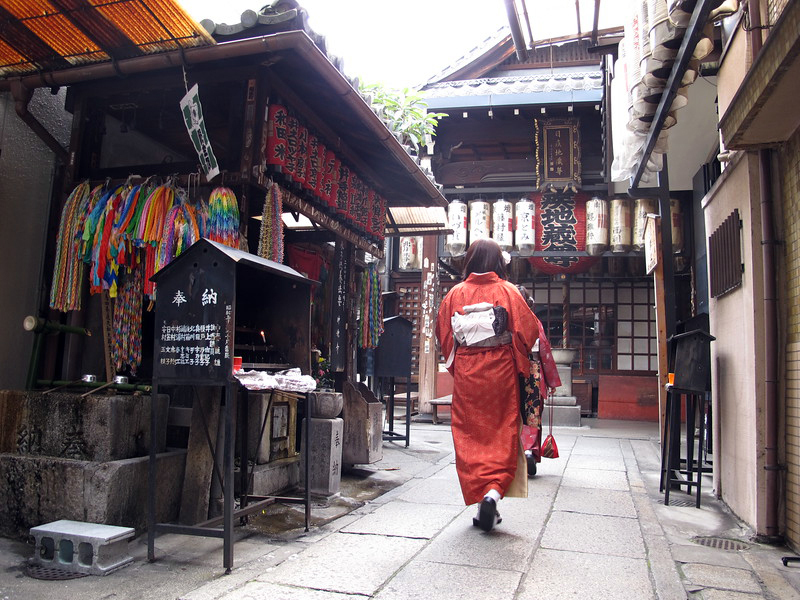 Gion was originally developed in the Middle Ages, in front of Yasaka Shrine. The district was built to accommodate the needs of travelers and visitors to the shrine. Miyagima, also known as Itsukushima, is a small island in Hiroshima Bay, western Japan. It has long been regarded as the Island of Gods. It is known for its forests and ancient temples. 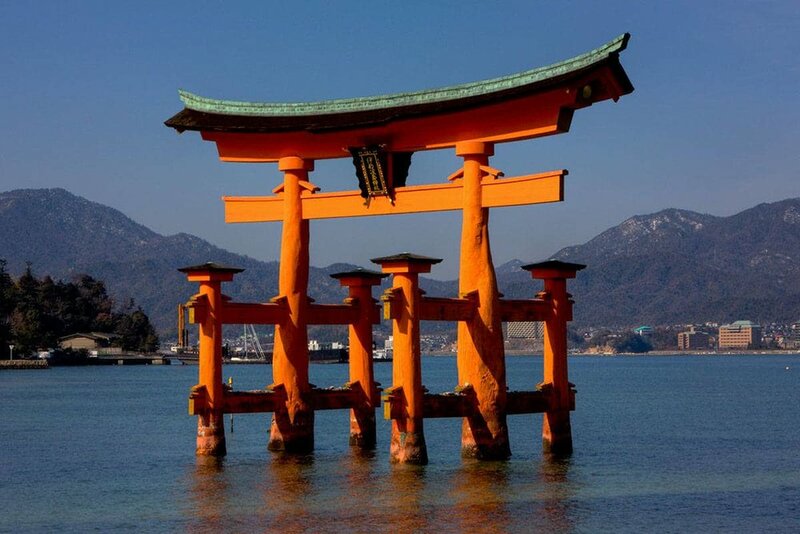 Just offshore, the giant, orange Grand Torii Gate is partially submerged at high tide and referred to as the “Floating Shrine”. Cosplay (derived from costume play) is a big part of popular culture in Japan. Cosplayers dress up as characters from movies, books, or video games, especially ones from the Japanese genres of manga and anime. It’s a fascinating part of underground Japanese culture. The Gold Pavillion, or Kinkaku-ji, is a Zen Buddhist temple in Kyoto, Japan. It is one of the most popular buildings in Japan, attracting a large number of visitors annually. It is named for its gold leaf finishing. Kiyomizudera ("Pure Water Temple") is one of the most celebrated temples of Japan and is a UNESCO world heritage sites. Founded in 780 at the Otowa Waterfall in the wooded hills east of Kyoto. It derives its name from the fall's pure waters. Once the home to craftsmen and tradesmen, Akihabara is now a playground for anime and manga fanatics, along with hobbyists of all kinds. Filled with store, arcades, maid cafes, and anime fanatics. A short distance from our JapanBall headquarters hotel, find yourself in a dizzying place, one of the liveliest and noisy districts in Tokyo. The Golden Gai, in the Shinjuku, Tokyo area, is a network of six narrow alleys, connected by even narrower passageways that are only wide enough for a single person to pass through. Over 300 tiny bars, clubs, and eateries are squeezed into this area. It is an architectural wonder tucked away inside a giant metropolis. Himeji Castle, also called White Heron Castle for its white outer walls, is the best preserved castle in Japan and a UNESCO world heritage site. The castle entered the world of James Bond films in "You Only Live Twice." The Shinjuku area in Tokyo has everything you could ask for - shopping, bars, gardens… and now Godzilla. See Godzilla watching over the district in the form of a life-size replica of the monster’s head peering down from one of its skyscrapers. Sumo wrestling originated in Japan and is a world-famous Japanese martial art. A wrestler attempts to force his opponent out of a circular ring. This ancient sport is very popular and matches tends to sell out very quickly. Each JapanBall tour is unique and based on the baseball schedule. If the tour you are interested in doesn’t include the sites you would like to see, we can help you visit these places before or after the tour.